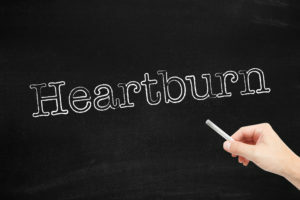 A closer look at children with Acid Reflux disease. Though quite common in children, most people are not aware of it's occurrence. In most cases, the process of gastro-esophageal reflux occurs quickly, the acid comes up into the esophagus and then rapidly goes back down into the stomach. In this case, the esophagus suffers no damage. However, if the stomach acid stays in the esophagus, it damages the esophagus lining. In some cases, the stomach contents rise up all the way into the mouth, only to be swallowed again. This process causes a number of symptoms such as a chronic cough, or a hoarse voice. More serious symptoms can include difficulty in swallowing, wheezing, and chronic pneumonia. In one of the tests, called an upper GI-series X-ray, the child's X-ray is taken after being given a glass of barium to drink. This particular test is successfully used to locate hiatal hernias, blockages, and other gastrointestinal problems. Yet another test, the esophageal pH probe, may also be used. This test consists of using an extremely light, and ultra-thin wire with an acid sensor tip and inserting it through the patient's nose and into the lower esophagus. This method is used to detect and record the presense of stomach acid in the esophagus.